Russian training ship Perekop making a northbound passage through Bosphorus in July 2013. The informative and excellent Ukrainian website Black Sea New reported that the Russian training ship Perekop is being repaired in Varna Naval shipyard. “Training ship of the 1st rank “Perekop” (200) complete repairs on the Bulgarian shipyard “Naval Arsenal” (Varna) in July 2015, reports Flot.com . At present, Russian designers are beginning to test samples of hull structures and cables to determine the remaining life of the ship. 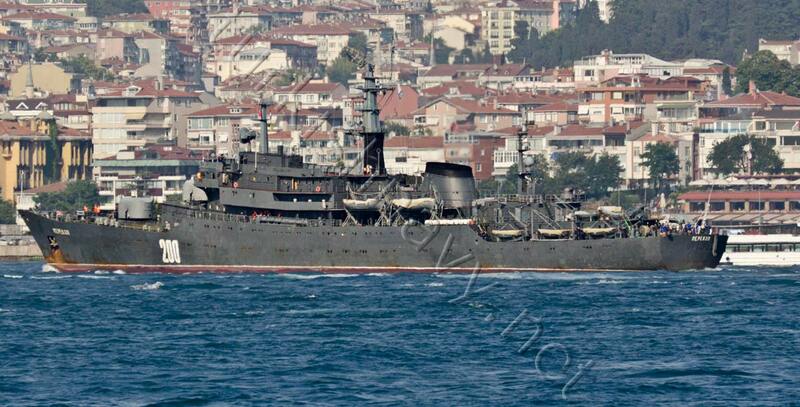 As reported BSNews , “Perekop” (200) arrived in Varna 20 August 2013. In the mean time the Krivak class frigate Ladny, made a post repair acceptance sail. Sources Central Navy Portal on the Black Sea Fleet told that TFR “OK” in the morning of December 17, 2014 from 12 mooring berth of Sevastopol and went on his first outing in the sea after the repair. Head of Press Service of the Black Sea Fleet, Vyacheslav Trukhachev confirmed that the plan “OK” has already had to start the combat training missions.